He didn't have the best 2014, but Michael Phelps is making 2015 count with an engagement. The Olympic swimming star proposed to girlfriend Nicole Johnson on Saturday, and she said yes. He shared the happy moment with fans on Instagram with a picture of the two laying in the snow, her ring finger glittering with a giant new rock. Johnson posted a similar photo on the social media platform, happily declaring, "I'm gonna be a Mrs."
It's nice to see Michael Phelps in the news for something positive again. The Olympian was previously the talk of the town for his DUI and rehab stint in October 2014. At the time, Phelps apologized for his actions outside of the pool on Twitter saying, "I understand the severity of my actions and take full responsibility. I know these words may not mean much right now but I am deeply sorry to everyone I have let down." Then the star took some time to attend rehab and it seems that he's really turned things around for himself. 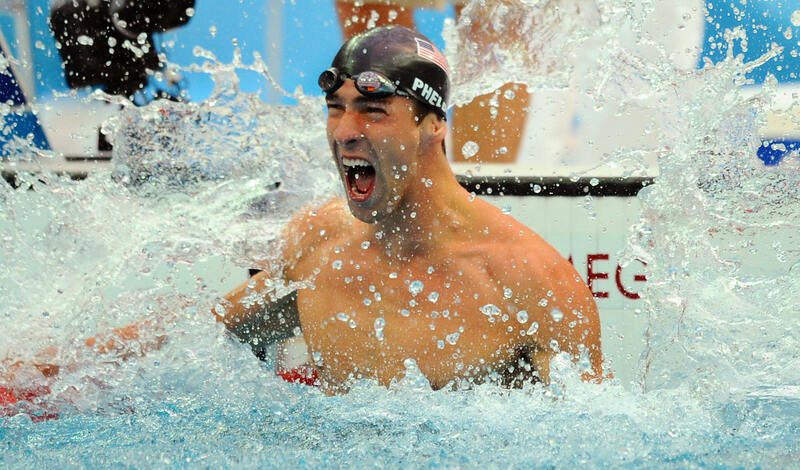 Not long after getting out of the program, Phelps took to Twitter to talk about the great support he had in his life, and his hope for a brighter 2015. It's nice to see that his new fiancee Nicole Johnson is part of that support system, and now the two are looking forward to their future as a married couple. But who is Nicole Johnson? She and Phelps go way back. Prior to Phelps' huge success during the 2008 Olympics, he and Johnson were already an item. They did break up several times though, and through the years they had an on-again off-again romance. Phelps and Johnson remained friends even after they broke up, and spent the holiday together with friends and family. In 2010, Johnson nabbed the Miss California USA title, and she's still involved with the pageant today mentoring young contestants and such. And her dog has its own Instagram account. Many congrats to the happy couple!